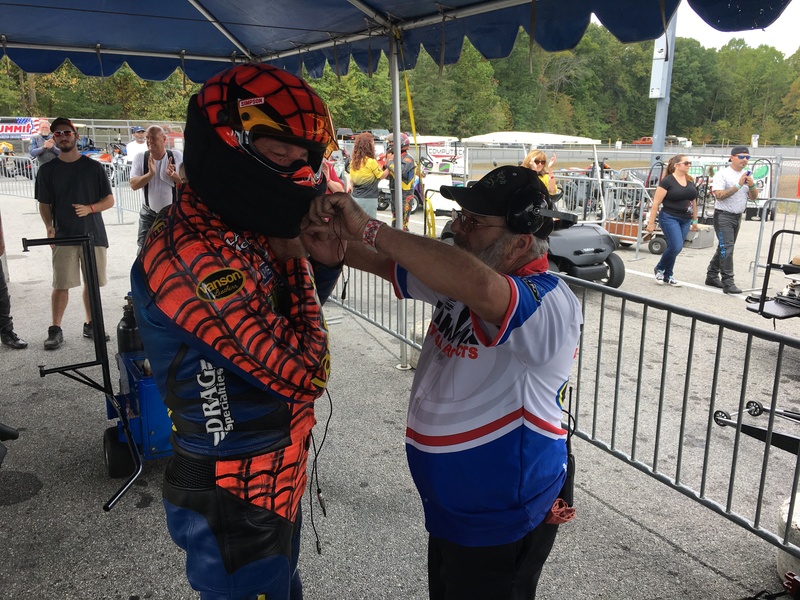 After more than four decades in the sport of dragbike racing and 17 championship titles won, one may question if Top Fuel Motorcycle legend Larry “Spiderman” McBride has the same zeal and enthusiasm he did as a younger man. 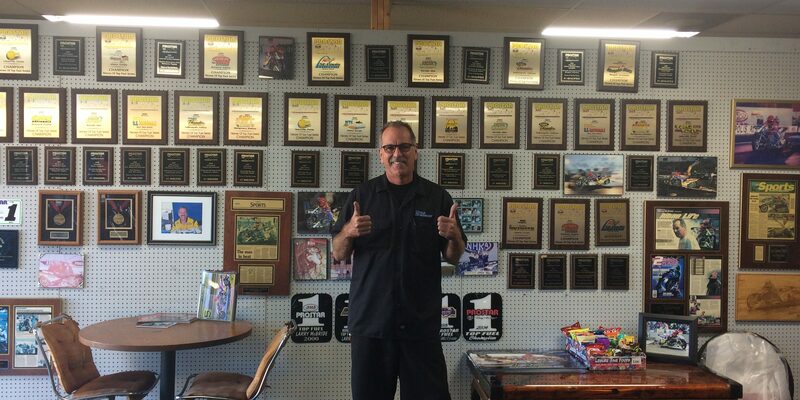 Larry “Spideman” McBride’s Expanding Wall of Trophies and Plaques. Heading into this weekend’s ManCup Finals from Valdosta, Ga., Nov. 16-19, McBride is poised to protect a slim 24-point lead over veteran Sam Wills. McBride says the intensity, anxiety and anticipation is just as strong as it was when he was fighting for his first championship. 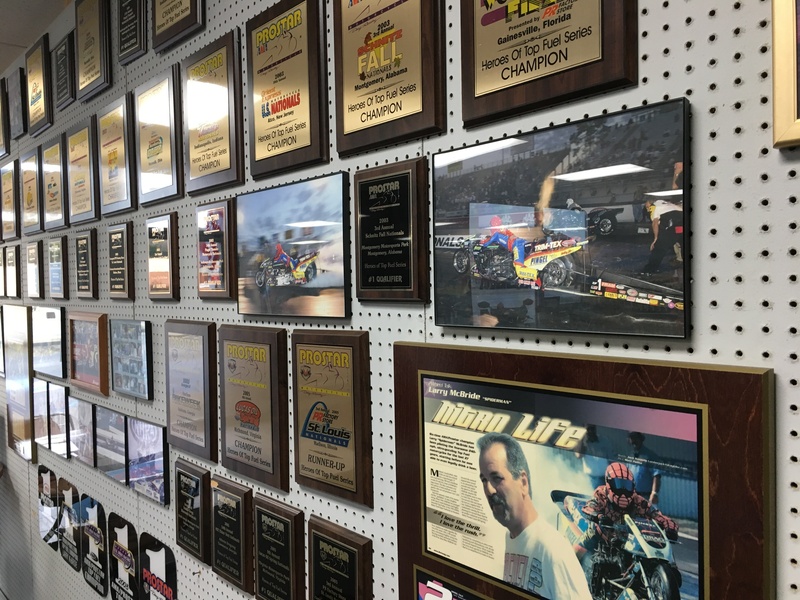 McBride says bringing another title back to his Newport News, Va. shop would be the ultimate way to cap off what has been a banner year for his team. In just his second season campaigning his new motorcycle “Star”, McBride ran a career best elapsed-time and speed (5.741, 255.29) and captured an IDBL season championship. McBride knows Valdosta will represent the most difficult challenge of the season. McBride is also excited at his performance potential with an ideal forecast that shows temperatures in the mid-60s for Sunday’s eliminations. “It looks like it will be a super-fast race,” McBride said. 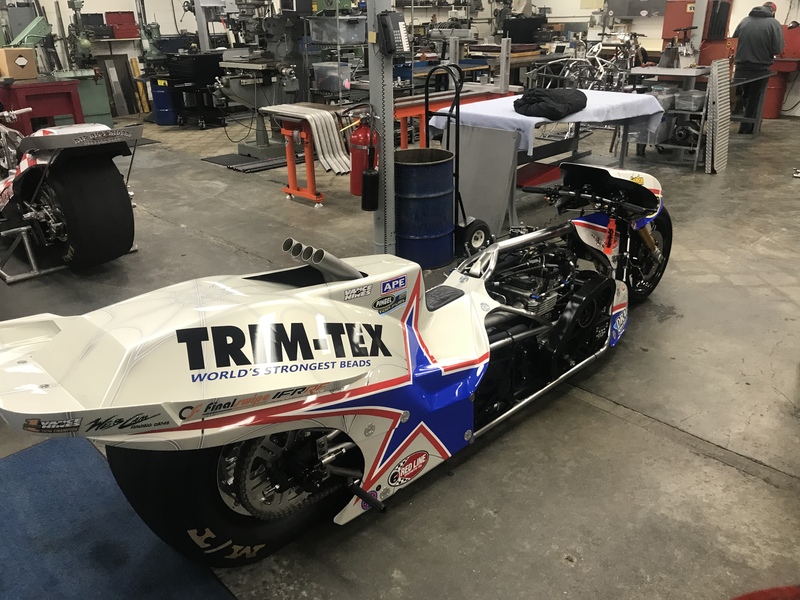 McBride says his extensive collection of data from years of racing at South Georgia Motorsports Park will help his brother and crew chief, Steve McBride, make the appropriate tuning calls. 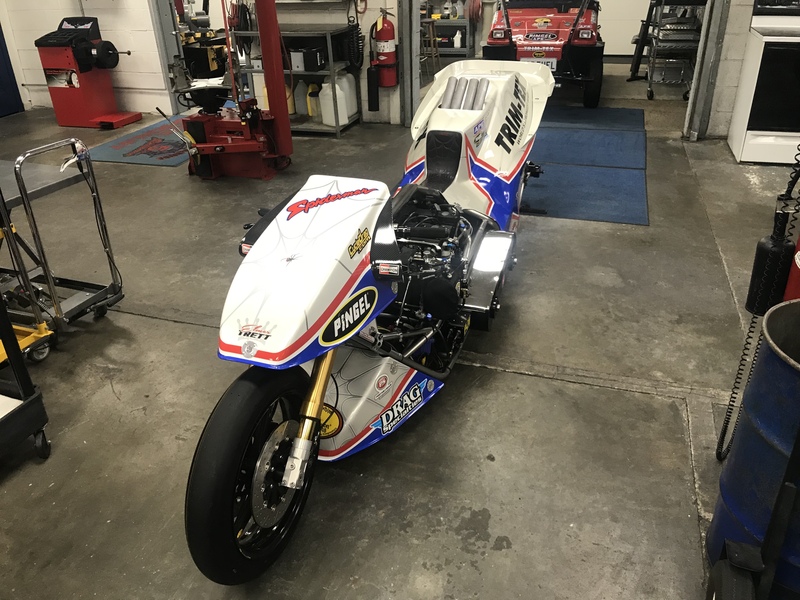 This will be McBride’s fourth race at the facility with his new motorcycle. Since Star’s last outing, as usual the bike was torn down to the frame so every component could be carefully inspected and cleaned. McBride also made himself a brand new set of exhaust pipes. The pipes feature the same “swept back” bend McBride has been utilizing, but these ones are made out of a different material. “We wanted to make sure we were not missing anything. It’s been a really good season. We just want to go down to Valdosta and repeat what we did in Maryland and Rockingham,” McBride said. Qualifying gets underway on Friday evening.